Most people think that being an entrepreneur or small business owner means getting to spend your days doing what you love. While that is partially true – I spend a large portion of my work week creating content, coaching clients, and even reading! – running a business also means doing a lot of things outside your “zone of genius.” When I first started Kaye Publicity, I didn’t know what a P&L was, or what insurance policies I needed, or if the legal aspects of my business were up to snuff. Unless you’re an accountant, insurance broker, or lawyer, these tend to be the aspects of business that trip entrepreneurs up. If you occupy space online, either with a website or an email list, you probably remember the chaos that came with the new GDPR (General Data Protection Regulation) laws. Suddenly (or what felt like suddenly! ), we were expected to know the intricacies and implications of the new regulation and had to get our online houses up to code. Not only did I have to update my online platforms, I had to guide our clients and help them update theirs. I’m not a lawyer, and truthfully, most of the lawyers I work with in my business didn’t fully understand the implications of the new regulation. I thought I was going to have to go it alone. Christina specializes in working with creative entrepreneurs and, unlike my corporate attorneys, was on top of GDPR. She had created checklists, terms of service templates, and a full template bundle* with everything I needed to make our sites compliant. I had spent weeks analyzing, learning, and, let’s be honest, stressing, about getting myself and our clients up to code, but these templates eliminated the guesswork…and the stress. For the first years in my business, I kept everything loosy-goosy. I thought contracts were cold and detrimental to the client experience. But once I started utilizing client agreements, I actually found the opposite to be true. These agreements reduce awkward conversations and feelings of confusion, from both parties. They outline payment schedules, deliverables, and liability considerations. If everything is on paper, there is no question about what the working relationship will look like. 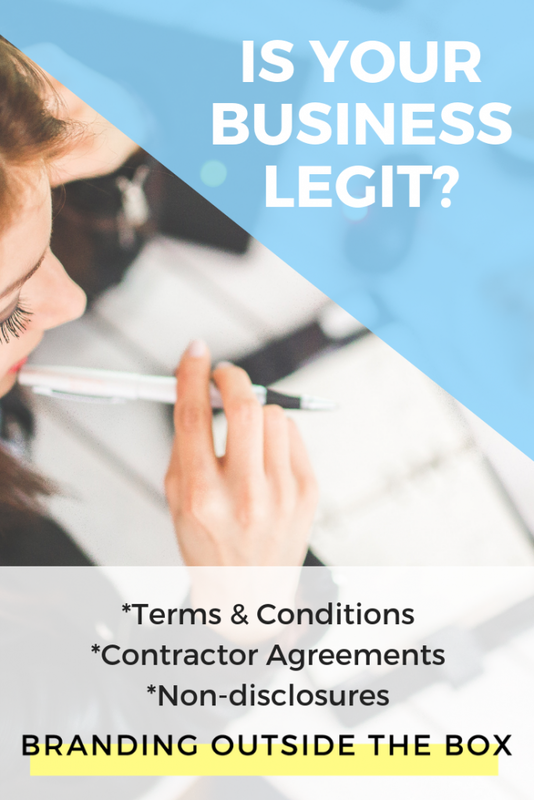 Whether you’re building out your team or hiring a contractor for a one-time project, you’re probably going to be sharing confidential information with that person. They’ll have access to client materials and aspects of your business that you wouldn’t want them taking elsewhere. For example, we wouldn’t want a publicist from Kaye Publicity downloading our media lists and using them at their next job or sharing our marketing campaigns with others. You work hard to provide value to your clients and you want to protect that value with an NDA. If you have each of these documents in place *high five*, you’re doing a great job! If not, I encourage you to consult an attorney or utilize a service like Christina’s. As an entrepreneur, you have enough concerns to worry about. 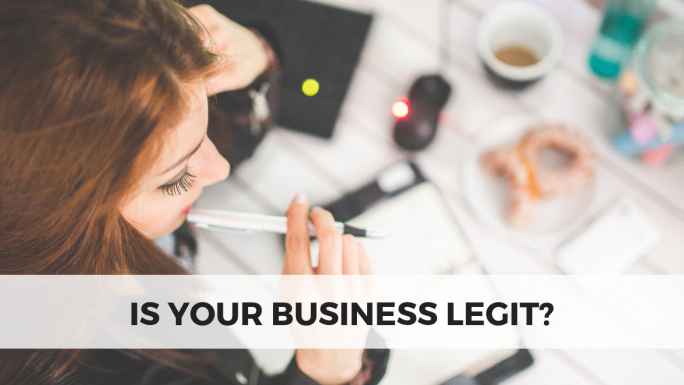 Stressing over whether or not your business is “legit” shouldn’t be one of them. *I am a proud affiliate of The Contract Shop and receive a small commission when you purchase through my link. This comes at no cost to you and I only recommend products and services that I use myself. Reputation is everything and I don’t intend on ruining mine for a few bucks!